The first thing that springs out how Asia is the place where MMC makes vehicles. In fact, 98.4% of the total comes from that continent. In 2001 it was just under 75%, but since then it has moved to where the vehicle's sales are strongest so it makes sense. I wonder if its new lease of life may make it reconsider that. Thailand is the largest of the overseas manufacturing operations, the Triton pick up accounting for nearly half of the total. If you're wondering what the Attrage is, its a mirage with a boot (trunk). 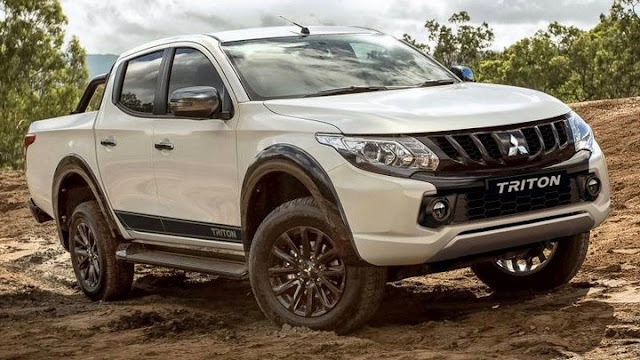 The Pajero Sport is also called the Montero Sport and until recently the Challenger. Production jumped in China with its joint venture partner plant. The Outlander is the main vehicle made here. For Indonesia the new Xpander MPV is doing well, being exported to selected non-western countries. The rest are of smaller size. I left off the Veryca in the Taiwanese data which I believe is made for CMC, this amounting to 14,000 units.